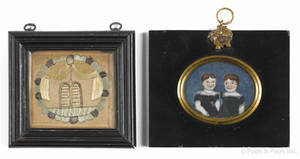 Three boxes of toys and games. 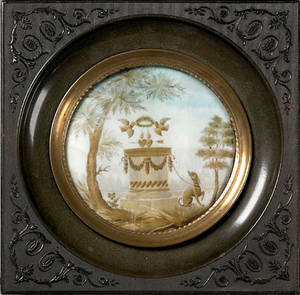 Miniature watercolor and hairwork on ivory memorial, early 19th c.
Miniature watercolor and hairwork on ivory memorial, early 19th c. , with central monument surrounded by hearts, doves, etc., 3" dia. 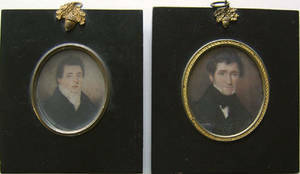 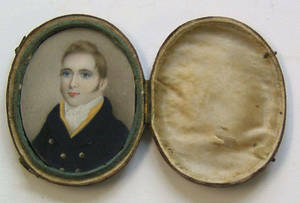 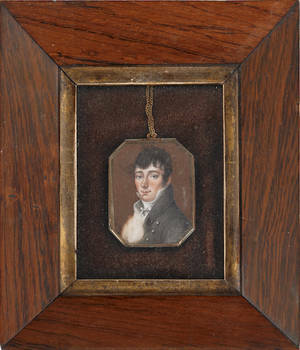 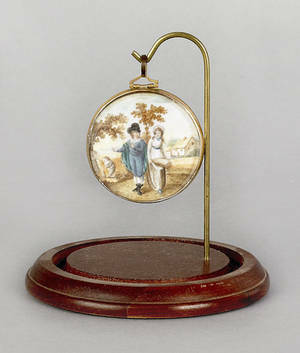 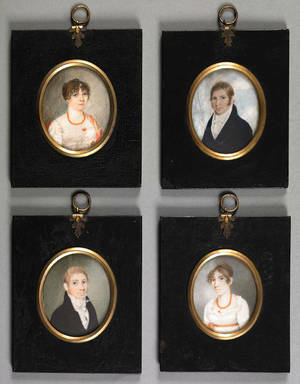 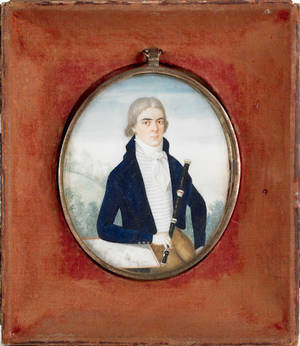 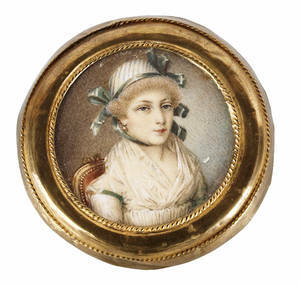 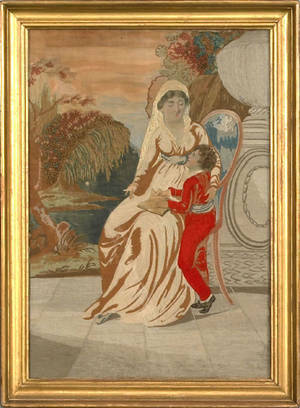 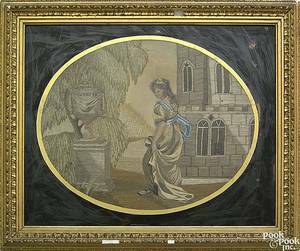 Archived auctions similar to Miniature watercolor and hairwork on ivory memorial, early 19th c.
English silk, wool, and paint on silk memorial, early 19th c.
Wool and paint on silk memorial, early 19th c.
French miniature watercolor on ivory portrait, early 19th c.
Miniature watercolor on ivory portrait, early 19th c.
Miniature watercolor on ivory landscape, early 19th c.
Miniature silk on paper memorial, early 19th c.
Rare set of 4 Maryland miniature watercolor on ivory portraits, early 19th c.
Two miniature watercolor on ivory portraits, early 19th c.